We spent Friday morning checking proofs and approving files, and the new issue will be shipping out in seven to eight business days. If the stories below sound interesting, you can snag a copy here. My dad grew up in England during the days of muddy pitches, hot tea at halftime, and lukewarm communal baths after the match. At 13, he was playing in four games every weekend, from his school team on up to the local U-18 side. He spent two seasons with Watford’s youth teams and a few more with Slough Town. His trial with Watford’s senior squad didn’t go anywhere, but all that tangling with older guys toughened him up so that when he arrived at Oneonta State in 1971, he took what feels to his Florida-born son like a perverse pride in wearing short sleeves in subzero temperatures, in lapping his teammates at training, and generally in trying to out-tough the toughest opponent on game day. He took some hits, too. A friend listening to the FM broadcast of the Rowdies match when he broke his tibia — the follow-through on Dad’s shot brought his shin into the bottom of the other guy’s boot, which was locked on the end of a stiffened leg above the ball — said the crack sounded like a gunshot over the radio. I always thought of my dad as a bit of a hard man, but when I asked him about this recently, he started telling me about some of the true bruisers he had known in his career. It was a different time, he said. You could get away with a lot more. Back then, it seems, every team had a Nigel de Jong. Now, a player like him sticks out like a jagged shinbone. We’ve gained so much with the prettification of modern soccer, but I can’t help feeling like we’ve lost some things as well. That’s the idea Kevin Alexander unpacks in Where Have All the Hard Men Gone? (pg. 84). It’s part of a larger package we’re calling Dirty Work. The term encompasses those unsavory characters who slid, elbowed, and headbutted their way into the hearts of fans, but it also relates to the guys who perform the thankless jobs that hold their teams together. 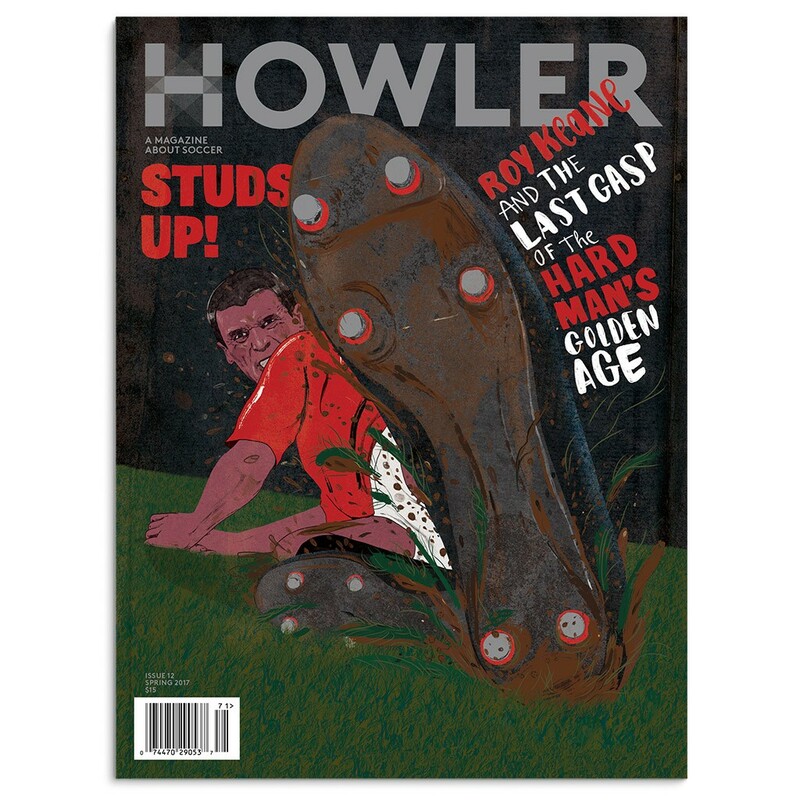 Roy Keane, pictured on our cover, did both. Others, like Claude Makélélé and Sergio Busquets, created new paradigms for the position of holding midfielder and thereby became indispensable next to the flair and filigree of their fancy-pants teammates (Masters of the Dark Arts, pg. 86). Speaking of lunging in with studs showing, have you noticed the level of discourse that has long characterized the conversation about promotion and relegation on Twitter? On the long list of things that set American soccer apart from the sport played by the rest of the world, from those Caribous jerseys with the leather fringe to TAM (targeted allocation money — don’t ask), pro/rel has to be the most glaring difference in most people’s minds. It’s a big, complex subject that has been too easy to dismiss simply because so many of those who push it online do so with a vim, vigor, and vinegar that leaves a bad taste in the mouth. 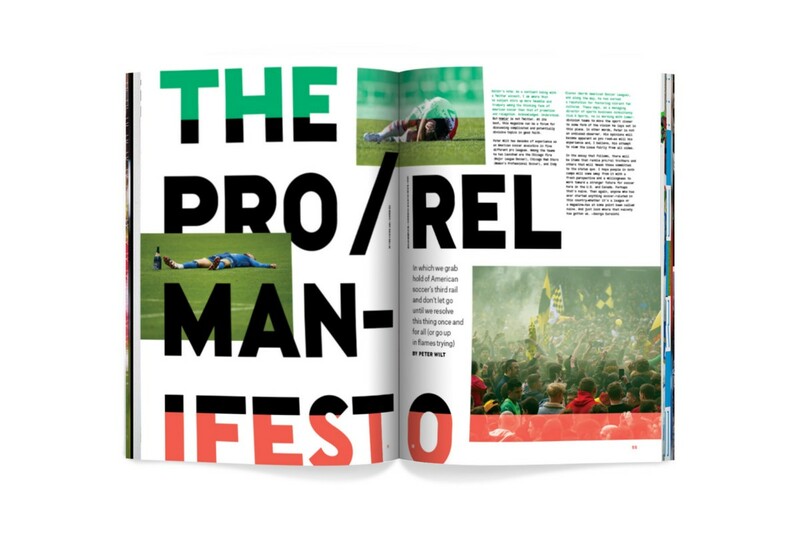 It may be that instituting pro/rel would damage the industry that is professional soccer in the U.S. and Canada, or it may be that it would damage the people who already own the biggest stakes in the industry. But it’s also possible that the rest of the world is onto something — that there’s both a strong business and performance case for some form of pro/rel on these shores. Surely this is a topic worth exploring in a more dispassionate tone, as Peter Wilt does in The Pro/Rel Manifesto (pg. 54). There is nothing sober or sensible about Cyril the Swan, at least in his earliest incarnation during the late 1990s. In Swan Song (pg. 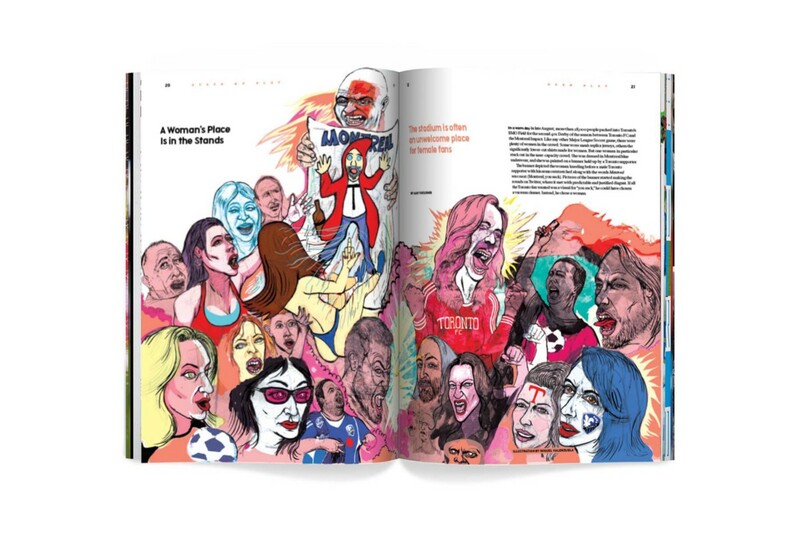 34), writer Jeff Maysh tells the tale of Cyril and his many brushes with opposing fans, other mascots, and even the law. Maysh wrote what is probably the best-loved story we’ve ever published, about the West Ham fan who was plucked from the stands, kitted out, and sent into a game by Harry Redknapp, and in Cyril—and the man behind the beak — he has found another irresistible character. We are already working on Issue 13, which has a number of stories set here in the U.S. and the region, especially Mexico. 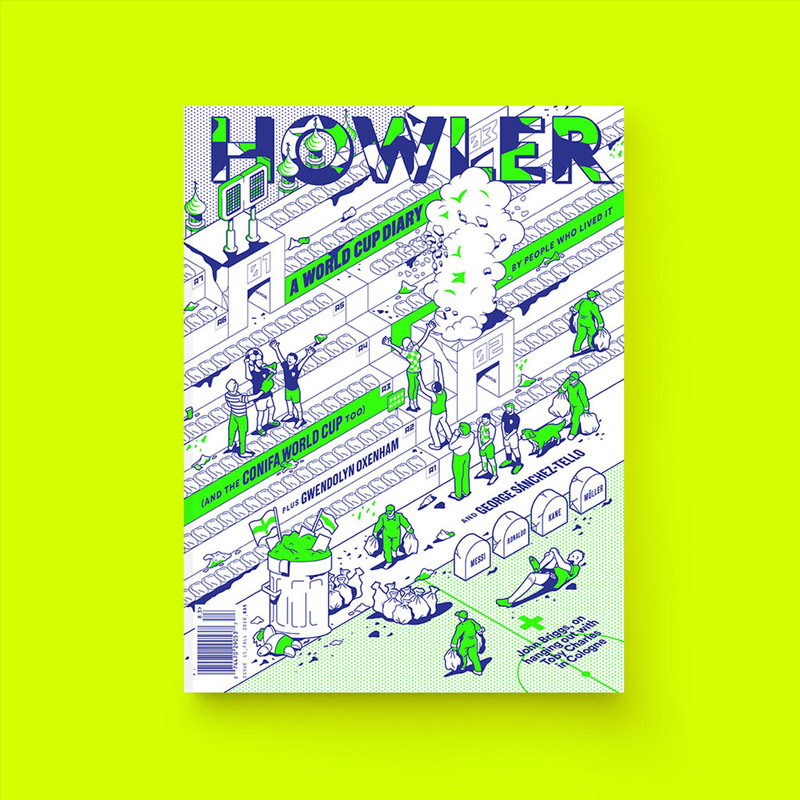 I mention that because this issue feels relatively light on stories that center on an American subject. We have a photo essay by Ryu Voelkel of the Indonesian team at the Homeless World Cup (Red Is My Blood, pg. 44), a story on the state-led push to make China a global soccer heavyweight (Sphere of Influence, pg. 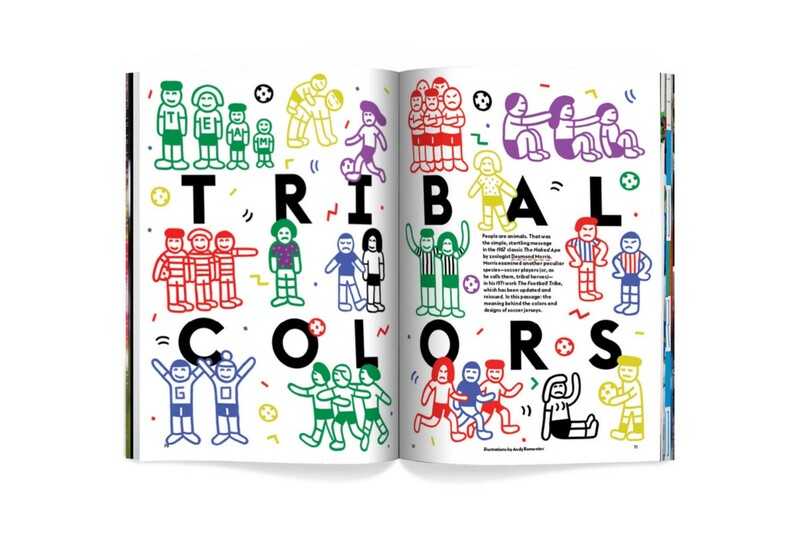 16), renowned zoologist Desmond Morris on the meaning behind the colors of kits (Tribal Colors, pg. 70), novelists Karl Ove Knausgaard and Fredrik Ekelund writing to each other about the most embarrassing loss in Brazilian history (Every Match Tells a Story, pg. 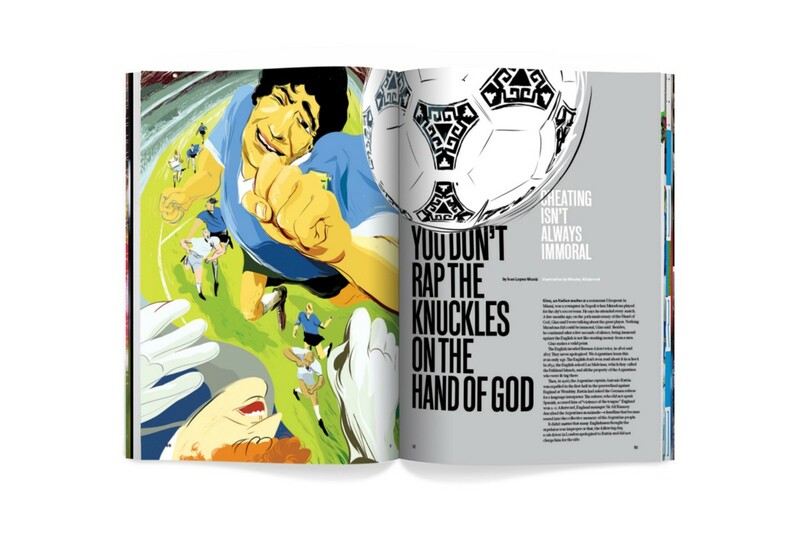 94), and a wonderful essay, upon the 30th anniversary of Maradona’s Hand of God, refuting the idea that his act that day was in some way immoral (You Don’t Rap the Knuckles on the Hand of God, pg. 98). Then again, we do have a few items that illuminate certain aspects of the American soccer experience. Photographer Cait Oppermann shot the players of the National Women’s Soccer League to produce a strikingly intimate portrait of life behind the scenes (The Will to Want, pg. 62). Karl Taro Greenfeld’s short story Ziggurat (pg. 98) is weird and wonderful in a way that only a piece of fiction about lower-league American soccer could be. 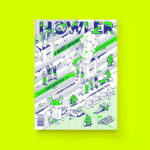 And Gaby Kirschner, who started with Howler as an editorial assistant when she was still in college, has reported a piece that shows how women all too often are made to feel uncomfortable and unwelcome while supporting their clubs, whether it’s in the stadium or at the pub (A Woman’s Place Is in the Stands, pg. 20). It will challenge anyone who thinks that, because the American soccer community is generally a progressive and inclusive place, we don’t still have a long way to go. The women in Gaby’s story tell of everyday slights and insults that have become ingrained in the way they experience soccer. Reading it made me realize that a big part of their experience has been largely invisible to me. On this topic, and that of pro/rel, I hope that a reasoned argument and some space to reflect without having to offer up an immediate rebuttal will lead in some small way toward a better, more thoughtful soccer culture. That can be the power of a good magazine. I hope we achieve it in this issue.